Let’s start by examining the terms (law is, after all, only words). 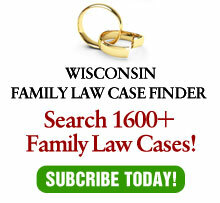 In Wisconsin, at least, “legal custody” involves only decision making about six areas, few of which are ever in dispute. The determination of where the children live is called “physical placement.” In most cases, that is the battlefield. Second, Wisconsin law does not mandate equal placement, although it encourages it. Third, while years ago, men were significantly disadvantaged by their gender, that is not true today. In fact, absent extreme circumstances (e.g., domestic violence, substance abuse, geography) it is more common than not to see equal placement in Wisconsin divorce. Where gender does play a role is in history. For some reason, it seems that women are more likely than men to actually give birth, take maternity leave, breast feed and thus bond with infants. Go figure. No legislation is going to change that. Where the children are older and no prohibiting circumstances exist, our legal system does a very good job of sharing children equally between the parents. Should it be mandatory? No. Children are not bank accounts to always be divided equally. Certain circumstances, in addition to those mentioned above, may make equal placement contrary to their best interests. One example is teenagers who are going to set their own schedule in any event. In short, this is a solution in want of a problem. Where the interests of parents conflict with those of children, the latter should prevail. If the result is a certain amount of gender discrimination, that’s the way nature made it. And the law, for all the good it can do, cannot reverse nature.